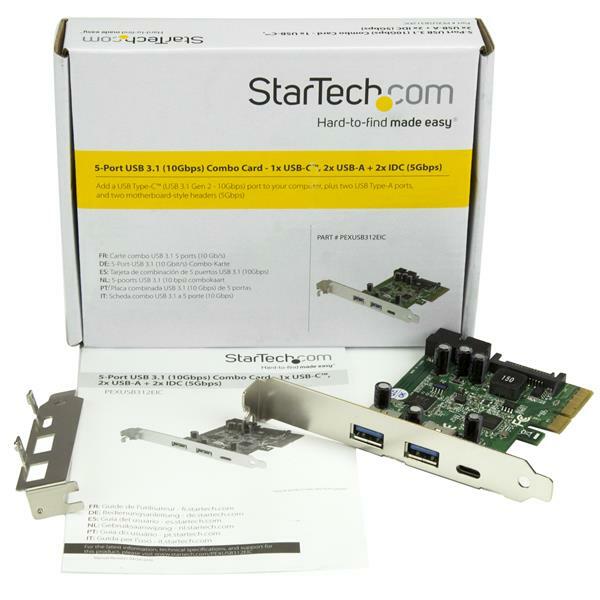 This 5-port USB 3.1 combo card makes it easy to add to the performance and connectivity of your computer. It’s one of the only USB 3.1 cards to offer a USB Type-C™ port (10Gbps), traditional USB Type-A ports (5Gbps), and a motherboard header. Plus, you can rest assured that you’re set for the future, as USB-C devices become more popular and more standardized. 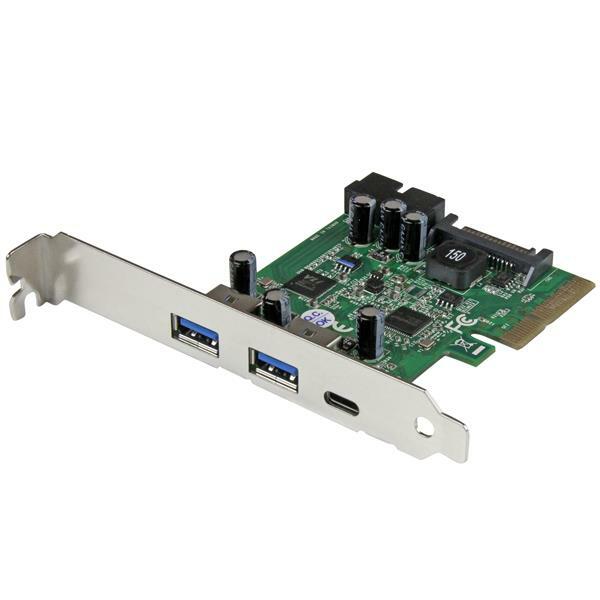 With two internal motherboard-style headers, this dynamic USB 3.1 card is perfect for upgrading or building your own computer. 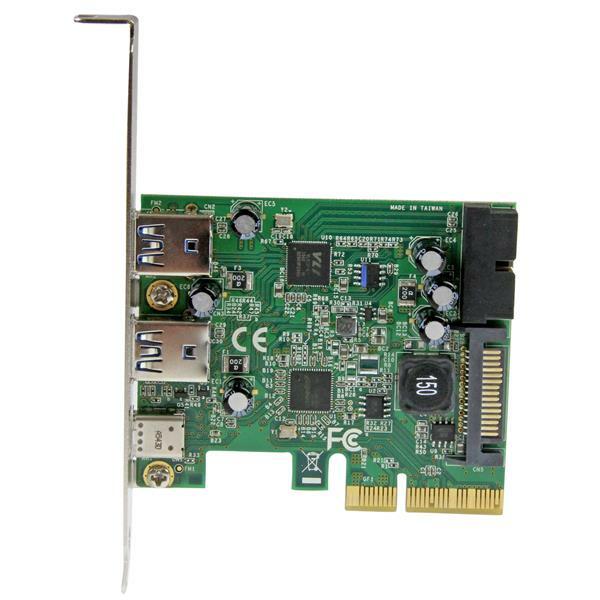 If your existing headers are occupied, or if you don’t have any motherboard headers, you can connect front panel hubs or card readers using this versatile alternative to costly motherboard or computer upgrades. Connecting your older peripherals isn’t a problem. 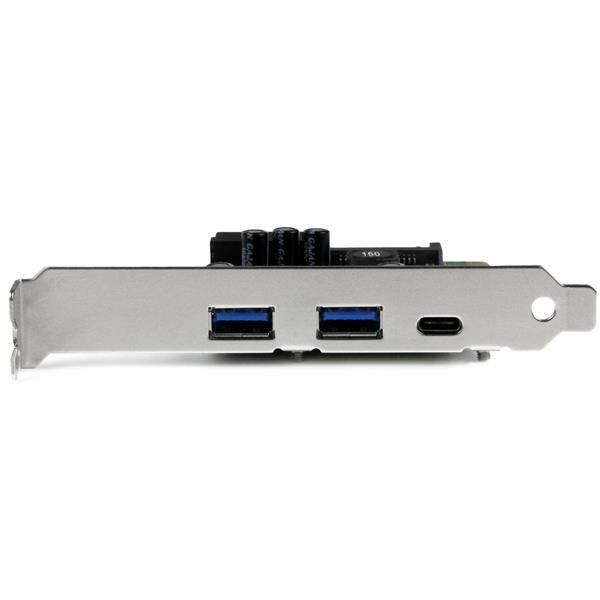 This 5-port USB 3.1 card is backward compatible with legacy USB 3.0 and 2.0 devices, so you can eliminate the added expense and aggravation of purchasing new devices. (USB 3.0 is also known USB 3.1 Gen 1). Note The maximum throughput of this card is limited by the bus interface. PCI Express Gen 1.0 max throughput is 2.5Gbps. PCI Express Gen 2.0 max throughput is 5Gbps. PCI Express Gen 3.0 max throughput is 10Gbps. How do I install my USB card in Windows Vista / 7 / 8 / 10? Your device should be ready to use.